Living overseas as an American has it’s great points but sometimes it has a lot of challenges that you don’t think about. For instance, most of the rest of the world uses the Metric system. Which makes a lot of sense as the Metric system is much simpler and easier to remember. That said, if you grew up in America, you likely don’t have the foggiest idea how hot or cold it is when someone gives you a temperature in Celsius. Stay with me here and we’re going to have a quick math lesson so that you can do a basic conversion in your head. Then you won’t look silly having to ask if it is hot or cold the next time someone gives you a forecast. Double the temperature in Celsius and add 30. If someone says it was 30 degrees Celsius then you simply double it (to 60) and add another 30 to get 90. 30 degrees Celsius is pretty hot. If it’s only 10 degrees Celsius then double it (to 20) and add another 30 to get 50. A bit chilly. If you’re like us and live in the frigid North and someone tells you it’s going to be -30 degrees this weekend, double it (-60) and add 30 to find out it’s…really stinkin’ cold outside. Incidentally the further you get from freezing the less accurate this is so don’t use this rule for cooking unless you want some unpleasant surprises. Asking questions of those who have “been there” is a great way to prepare yourself for the crazy adventure that is moving to China. Even though you can never be completely prepared for such a drastic change, knowing what to expect goes a long way to making the transition much smoother. I was so thankful to have a fellow expat friend who generously fielded numerous questions before our move. It was such a huge help to us, and one of the main reasons I decided to start this blog. I recently received a question from a reader, and I thought I’d share the questions and response in case it helps someone else in a similar situation. My family has LOVED all the information we have learned from reading all of your posts. I’m sure we haven’t gotten through everything yet, but we are learning from it. If all goes according to plan we (my husband and I, as well as our 3 kids) will be moving to Shenyang the beginning of 2012. I was hoping that ya’ll could help me with a few questions. For one, I wondered what host site you use for your blog? The one you guys have set up is exactly what we would like to have in place. Second, how hard has it been to stay connected technology wise? Like I said, we have 3 kids. I have read that there are ways around the government blocks online, but I have read so many positive and negative things now that I’m just confused. It is very important to us to try to keep our technology connections so that our kids don’t feel completely cut off. At this point we don’t even know whether to purchase computers from the US before we leave or China once we get there. We really want to be able to contact family and share all the adventures they are having. Again, we have really enjoyed reading about all of your experiences (although I gotta say I literally gagged last night reading about the taxi driver chewing on his hack!!! I already know that the first time I hear that sound and realize what it is….I will most likely puke! Oh well, that will just be another story to share, lol) We look forward to any future posts and any information you guys can share with us. 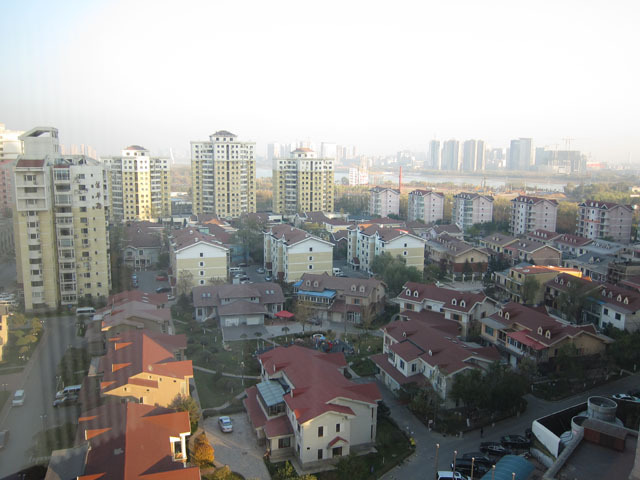 I recently received a question from a reader asking for advice and insight on their upcoming move to Shenyang. I thought the question and response might be helpful for someone else as well, so with permission I’ve posted our correspondence. If you’re currently on expat assignment and have something else to add, I’d love for you to chime in on the subject in the comments. If you’re not yet an expat but also have questions, feel free to ask away and I or my fellow expats will try to fill in with what we’ve learned so far. The more information we can share, the better off we’ll all be. Hi. 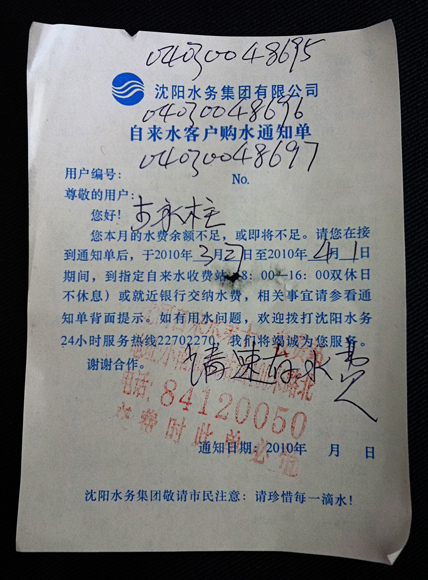 My husband and I just returned from a job interview in Shenyang. The company flew both of us over for a look-see and interview. We were there for 3 days. (I know, who goes all the way to China and stays for just 3 days?) The work would likely be in both Shenyang and Yingkou, or perhaps mainly in Yingkou. It would be a 2-3 year contract. I’d appreciate any advice you’d like to share. My husband is supposed to let the company know what he wants for compensation and benefits. Are there benefits you’d recommend asking for? What about Chinese taxes? Are there employers who pay taxes for their employees? We saw that the marginal rate goes up to 45%, and then we would owe US taxes as well. I read in China Daily while we were there that foreign workers will now be covered by the Chinese social security, medical and unemployment insurance, to the tune of an additional 11% payroll deduction. That wouldn’t leave much for us! We recognize the challenges we’d face living in China, and think that we can not just manage, but truly come to enjoy the adventure. I’ve enjoyed reading about your experiences, and look forward to having our own China stories to share. LB and I finally got the chance to go through some of your questions (I have no idea about a lot of the details like taxes and stuff.) We had a few thoughts on the subject between us. Not sure how it works out with you, but we were pretty fortunate to be sent by an international company who has quite a few expats here already. It was NOT a perfect process by any means (get ready to be flabbergasted over and over… and make sure you throw any expectations you have out the window. You’ll be much better off for it.) but they do take care of us pretty well. Will you be working for a Chinese company as a foreign expert? Not sure how that will change the process, but it surely will. It is a different culture for sure. Make sure you get it all in writing, but realize even then, that doesn’t always mean a whole lot when you’re dealing with this culture. You’ll still have to ask for things even if they’re in the contract. You’ll want to keep these things in mind at the very least. 1. Housing: Make sure they are providing you with housing. Most companies do. A budget of 15,000 – 20,000 RMB per month should be sufficient for a furnished apartment or, in some cases a townhouse, in a nice complex/neighborhood although that will likely vary a lot depending on what city you’re in. 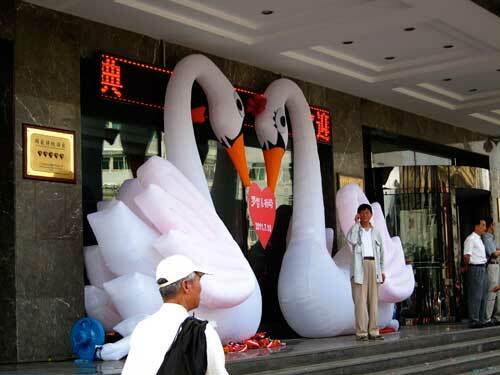 That will get you a very nice apartment in Shenyang. Another option would be to negotiate a smaller monthly allowance for an unfurnished apartment plus a stipend for purchasing furniture or shipping your own furniture from the States. This was actually the option we chose, and I was really glad we did. It was great to be able to choose my own furniture and design my own home rather than feeling like I was living in someone else’s house. I will say that if it hadn’t been for the new Ikea in Shenyang though, I doubt this option would have worked out as well. Also, I don’t think this is very common in China. Most apartments come furnished, I believe, but it worked out really well for us. Our company goes through a realty company who specializes in placing expats (We used KELT. There is alsoCentury 21 in Shenyang). It was a big help dealing with people who speak English and who’s job it is to take care of the lease, dealing with the landlord, getting your proper permits, etc. We also don’t deal with paying the rent at all. That is paid directly by the company. We do pay for utilities though. We’ve been here almost a year and still occasionally contact them with any issues we have with our apartment (like yesterday, when we woke up to no electricity). Our realtor has become a great friend who I call on for all kinds of questions and translating. She was indispensable in the beginning when we were just learning to function here. If they do agree to pay for your housing, make sure you are able to pick your apartment, or at least see where it is they want to put you. The exact apartment. 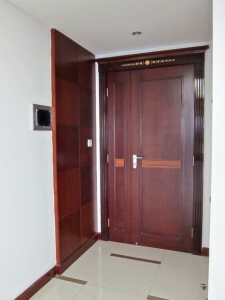 Most apartments are privately owned and one building can have several levels of quality. I would suggest negotiating a “housing allowance” and then shopping for your own place. To me, it is the most important part about making this place feel like home. Especially for you as the wife since you’ll be spending a lot of time there. 2. Car and driver: I’m not sure how you’ll work out working both in Yingkou and Shenyang but google maps says it is about 2.5 hours drive. If you’ll have to do a lot of commuting back and forth I would definitely make sure you are provided with a car and driver. Inside Shenyang, it is no problem getting around with the buses and plenty of taxis. We don’t have a car and do fine without it, but I think if you’ll be outside the city then you’ll need one. 3. Language lessons: You need to learn Chinese to really have a good experience here. It’s a difficult language and some people don’t bother learning it but I think you have a much less frustrating experience when you can break down the communication barrier even just a little. I would suggest asking for a set language budget or set number of hours of tutoring for both you and your husband. I think the companies I’ve heard of usually offer 100 hours. 4. Moving costs: Negotiate your shipping and moving costs. You’ll probably need at least an air freight container. They come in several sizes. Another option is a sea freight container. They are much larger and are typically used if you want to bring your furniture from home. They take much longer to arrive however. 5. Vacation time: This one has been a big issue for us. If you’re going to want to travel a lot (and there is so much to see in Asia!) make sure you have enough time to take off to do it. I think you need at least 20 days, probably 25 would be better. 6. Home flights: Will they pay for you to take a trip home once a year or twice a year? For both of you? If so, do you get extra days to compensate for the travel time or will you have to take vacation days? Something to think about considering it takes 3 days of traveling to get to the States and back. 7. Taxes: This is the one I’m not so sure about. You are responsible for taxes in both China and the US. You’ll definitely need to hire a professional to take care of all the taxes. I would make sure that is also paid for by the company. Most companies here take responsibility for paying the Chinese taxes. (I’m not sure about the China Social Security thing, haven’t heard anything about that.) Our company takes care of all the taxes here and our pay stays the same. They also offset the taxes in the US so that we pay the same as we would if we were still employed in the US. One other thing to remember is that all of the benefits they pay for such as your car and driver, your housing, etc. is considered taxable income by the US government even though it isn’t showing up in your bank account. Add it all up and that first tax bill will make your eyes pop out of your head. 8. Getting paid: You want to get paid in the US if possible. There are two ways it is done here. One company that I know of pays 75% of your income in the US and 25% in Chinese RMB. Even at 25% most people don’t spend that much and end up with lots of RMB left to change at the end. It is a real pain and quite difficult to change money back from RMB to US dollars. Our company pays 100% of our paycheck in to our US account and we then make a wire transfer (reimbursable at 1 per month) to our Chinese bank account in the amount we need. Either way works fine I think. Getting paid 100% in China is usually a huge hassle so I’ve heard. Salary: Obviously it depends on the company, but generally, if you work as an expat for a foreign company you can expect your previous salary + 30-50% increase (b/c you have to live without Dunkin Donuts whole bean coffee and JIF peanut butter.) + cost of living adjustment + additional compensations listed above. I would say that most expats come to China for the money. But it is a GREAT experience even without the padding of the bank account! I really enjoyed hearing your guesses for the pop quiz. Thanks for playing along! We had a few guesses on the original post, and a few more posted on Facebook. Pop quiz… What is this? Found this taped to my door. What is it? What am I supposed to do with it? Just a little taste of what it’s like living in a foreign country where you can’t read or speak the language. Every day is an adventure. And the littlest simplest tasks become difficult. Hint: You get something similar in the US and if I don’t deal with it soon I’m in trouble. 1. Find the largest pot you have. If you have 2 or 3 large pots it works even better. 2. Fill the pots with water and place them on the stove. 4. Heat the water until you start to see bubbles. 5. Using potholders (or folded up dishrags if like me you still don’t have potholders), carry the pots of water one by one into the bathroom. 6. Dump the hot water into the tub. 7. Repeat steps 1-6 until you have enough water in the tub to bathe with. Turn on the faucet to add cool water if the water is too hot. Hi. Just wanted to let you know we are having a problem with the hot water in the showers. Neither get hotter than luke warm. Definitely not hot enough to take a comfortable shower. The water in the kitchen sink gets quite hot, just not the bathrooms. Can we get this fixed soon? I just contacted with the management company and the staff told me the problem has existed about year. After the management company transformed the pipe system in Wulihe Plaza. And the problem extensively exist in the Wulihe Plaza. Before the management company transform the pipe system again the problem canâ€™t be solved completely. But there is a temporary solution is before you do the shower please call the management company 2388****, they will send a worker to make the water warmer. Really? You just want me to call you before I want to take a shower? Every day? And wait? This is the solution for the WHOLE building? 24 floors of apartments. Is there a guy whose sole job is to come heat up the water every time anyone wants to take a hot shower? There has to be. And how does he do it? And when that doesn’t work: Refer to steps 1-7 above. Soâ€¦ I’ve been trying to get out of posting this little story. I mean, you don’t really care to know EVERYTHING that happens to us on this little adventure, do you? Actually, I’m not really sure you care to know any of it, but I’m writing it down just the same. I was going to skim over this tidbit, but I realized… I just need to keep it real. Most of you already know what a dingbat I am anyway, and it’s probably unlikely you’ll even be surprised I’d do something like this. On Thursday morning, we met the realtor, Echo, at the apartment. She is Chinese, but speaks English ok and was appointed to answer questions and translate for us. 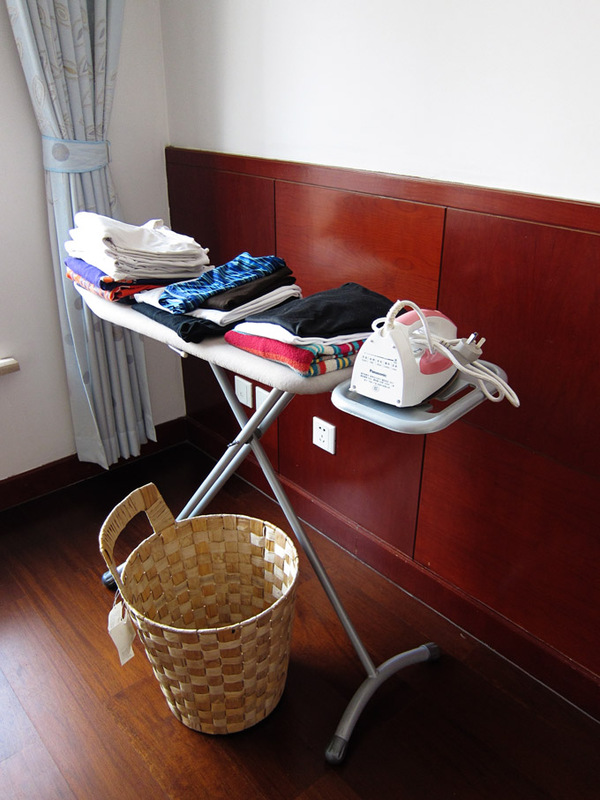 When we arrived, a friend of the landlord was also there getting things ready, setting up the phone and internet, etc. I went to the kitchen first to check out the appliances and make sure everything was in working order. I was pleasantly surprised to see that this apartment, like the first, had a little TV in the kitchen. Both times, the realtor seemed really excited to show us this. To be honest, the first time I was unimpressed. Who has time to watch TV in the middle of cooking anyway? 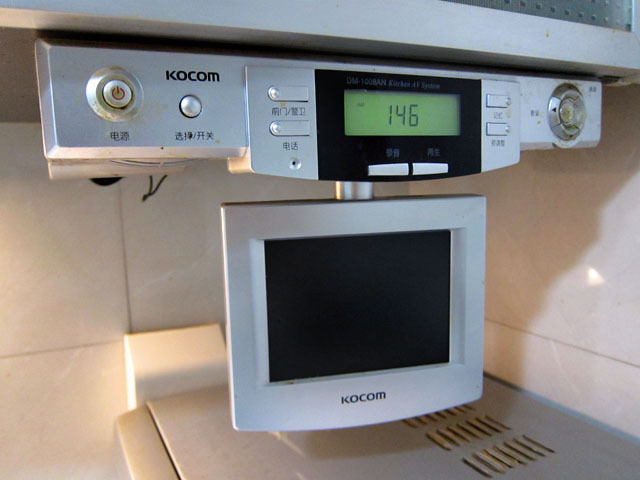 Besides that, most of the channels are in Chinese and the screen is only 6 inches across. Tiny. However, I knew from the first apartment that the TV wasn’t just a TV. It was also a security camera! So cool! I know it may not be that exciting to you. But I was impressed. When I asked Echo about it, she mentioned that this one also had that capability, but she wasn’t quite sure how to work it. She pushed a few buttons and we never could quite figure it out. I got bored for the moment and moved on. 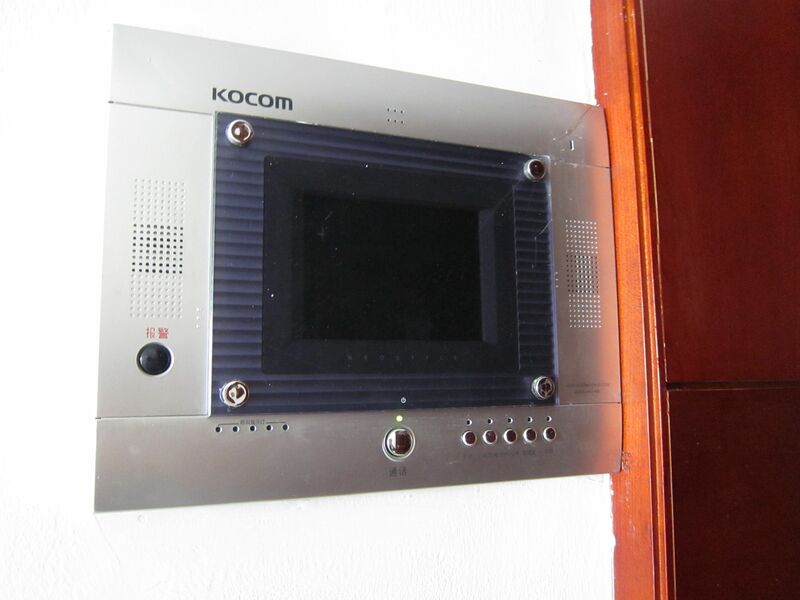 When I got back out to the living/ dining area, I noticed another screen mounted on the wall next to the door. I was sure this was a camera too. And I was determined to figure out how to use this thing. Not that I ever think we’ll need it. I don’t. But still, I must know how it works. It’s just the way I am. No gadget can be left untouched. There are 6 buttons on the panel. One of them has to work the camera, right? They are all labeled with Chinese characters, which I can’t read of course, so without rhyme or reason I just decided to push them all until the camera came on. Easy enough. The very first button on the right has red writing, looks the most to me like it would be a power or “On” button. Wrong! As soon as I pushed it, it starts blinking red and a deafening alarm starts going off. I’m in total “Oh Crap” mode and start going down the line pushing every button on there to try and get it to stop. Well, Echo walks up beside me at that point and as I’m going back down the line of buttons, frantically trying to find a combination that would shut the thing up. I start to push the same red button again, and Echo stops me. Ummm, WHAT?!? Did you say police?? So, I really didn’t know much about China before we moved here (still don’t, as a matter of fact), but the one thing I do know, is you want to steer clear of the police. (That really goes in just about every country, I think.) And I’m pretty sure, you definitely don’t want to call them to you, with a flashing red light and a blaring siren loud enough to wake the dead, for NO REASON! At this point, I’m pretty much mortified. All the while trying to play it off like the siren just started going off by itself or the guy messing with the wiring set it off, and I was just “helping” by pushing buttons to try and shut it off. As it turns out, I had very little to worry about. The alarm continued to go off for over an hour with no sign of the police. The landlord’s friend did manage to reduce it to an intermittent blaring somehow. But it would only stay quiet for about 2 minutes before it would start again. I have to admit, about 45 minutes in, I’m over the panic and getting a little annoyed. What if there really was an emergency? What good is that stupid little thing, except to trick button-happy foreigners into bursting their ear drums? Well, someone did eventually come and turn off the alarm. I was conveniently in another room at the time so I didn’t get to see them fix it. I’m not sure exactly how Echo explained the situation but it probably went something like: “That crazy white woman in there got all geeked out over the security camera. Apparently they don’t have those in Iva.” Yeah well, maybe not. But we have tractors. And cows. Where are your cows? On a side note, none of the buttons actually turned on the security camera. We found out later, it comes on automatically when someone pushes the doorbell. So how do you translate… ummm, oops?